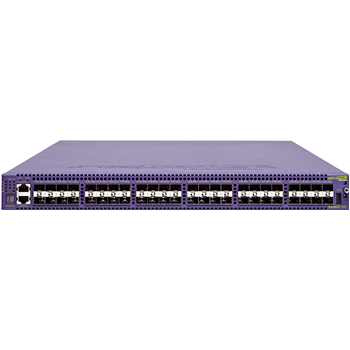 The ExtremeSwitching X870 Series switches are high-density, purpose-built 100Gb switches designed for high-performance enterprise and cloud data centers. 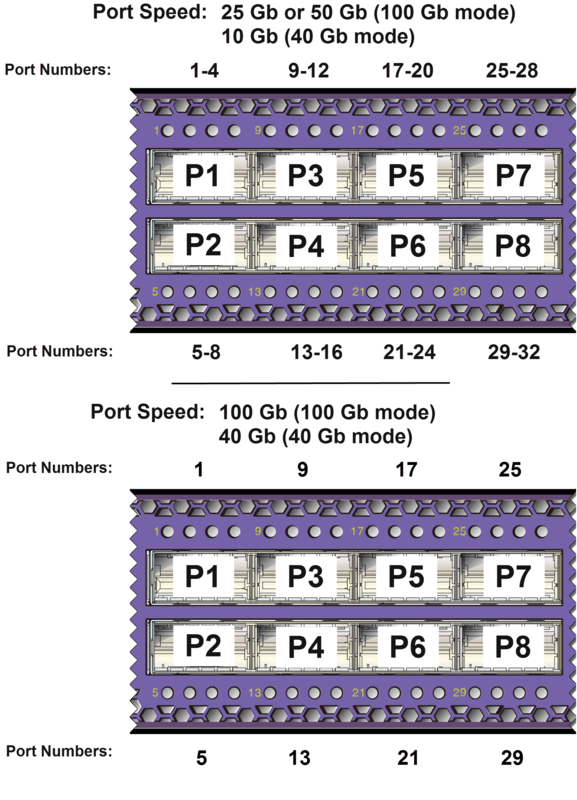 With 32 x QSFP28 ports, the X870 Series can support a range of interface speeds, including 10Gb, 25Gb, 40Gb, 50Gb and 100Gb, all in a compact 1RU form factor. 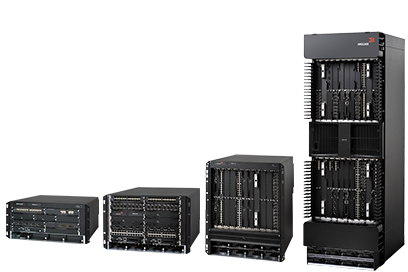 This enables the X870 to be flexibly deployed in either spine/leaf or high-density top of rack architectures. 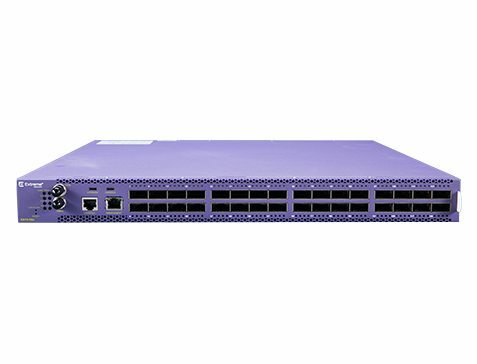 Low-latency cut-through switching and an advanced feature set make it ideal for high-performance data center applications. 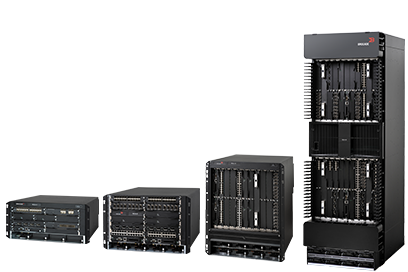 The X870 can handle a wide range of high bandwidth applications, including high-density 10Gb top of rack aggregation, emerging 25Gb and 50Gb Ethernet, and 100Gb spine/leaf fabric deployments. 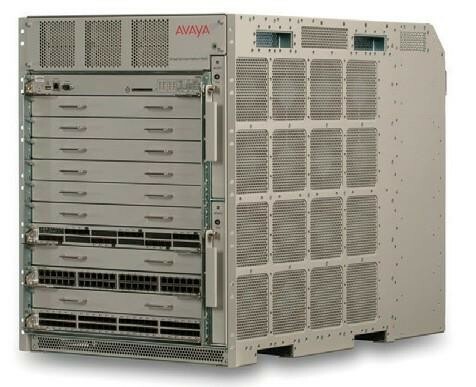 The X870 offers unique flexibility for high bandwidth 100Gb spine fabric applications and high density 10G and 25Gb edge leaf aggregation, all with a proven ExtremeXOS operating system. 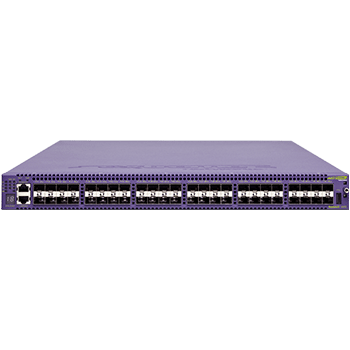 A wide variety of QSFP+ optical transceivers and cables can be used to support 10Gb and 40Gb Ethernet while QSFP28 optical transceivers can be used to support 25Gb, 50Gb, and 100Gb Ethernet applications. 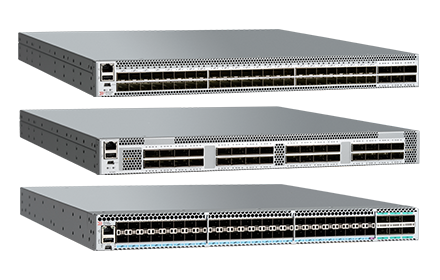 The ExtremeSwitching X870 family supports sophisticated, intelligent Layer 2 switching, as well as Layer 3 IPv4/IPv6 routing including policy-based switching and routing. 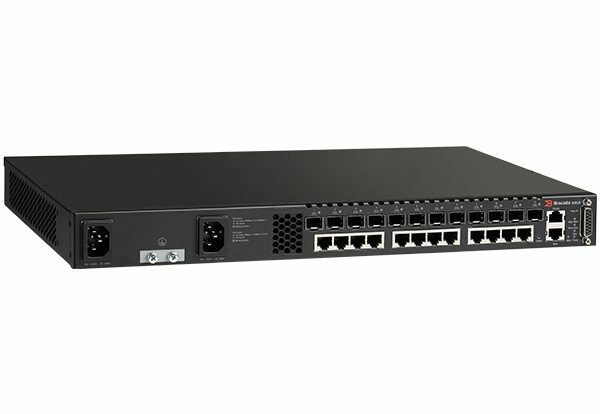 The X870 simplifies network operation with the ExtremeXOS modular operating system, which is used among all ExtremeSwitching networking products. The high availability ExtremeXOS operating system provides simplicity and ease of operation through the use of one OS everywhere in the network. 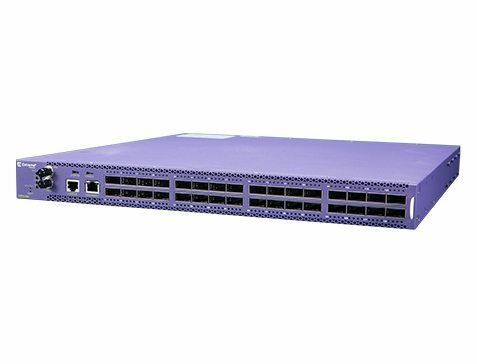 The X870 supports ExtremeFabric, a Layer 3-based Ethernet solution from Extreme Networks that runs on Extreme’s switching portfolio. 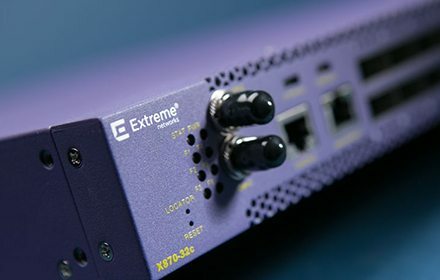 ExtremeFabric simplifies both campus and data center networks by automating the interconnection of multiple Extreme switches and enabling them to operate as a single logical, resilient “fabric”. Once formed, the ExtremeFabric provides any-to-any connectivity, high-availability and transparent access to edge devices connecting to the ExtremeFabric. 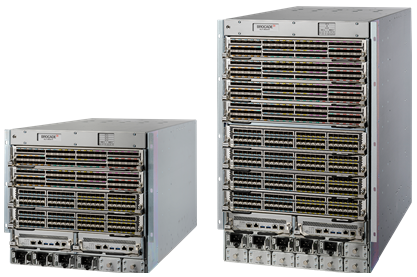 The X870 supports SummitStack-V400 400Gbps high speed stacking using 2 100Gb ports. Up to 8 X870 systems can be stacked using SummitStack-V400. 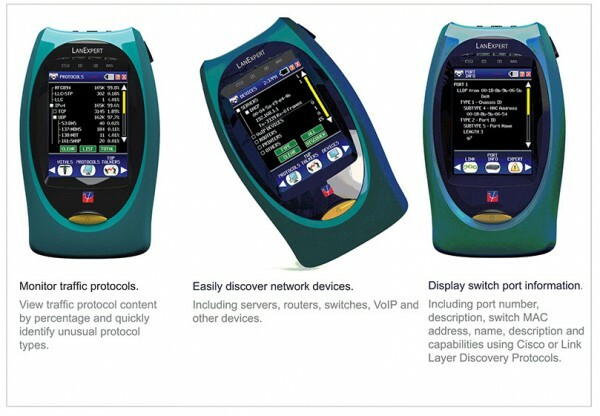 Any of the supported 100Gb QSFP28 direct attach cables and optical transceivers can be used for the stacking links. 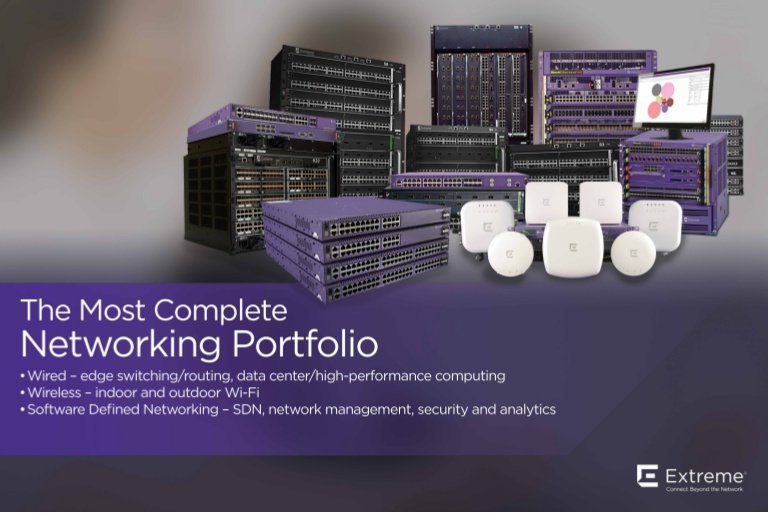 Extreme Networks has developed tools that simplify and help in efficiently managing your network. The ExtremeControl application provides centralized visibility and granular control of enterprise network resources end to end.